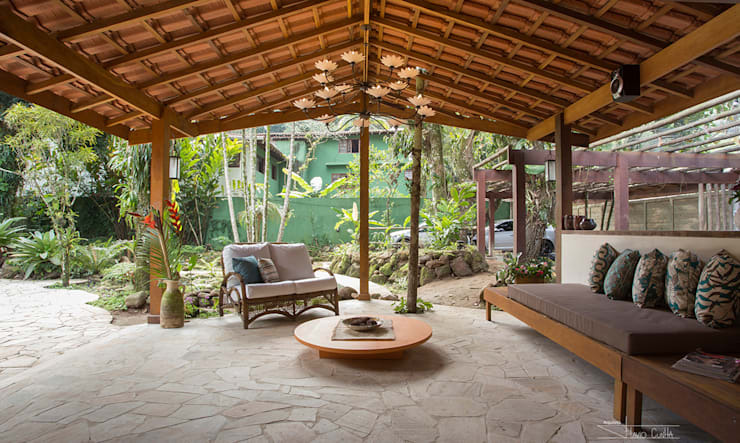 Siesta time usually has people retreating to their bedrooms for a quick shuteye, but a beautiful corner outside may be an even better option. Let the warm days and fresh air lull you to sleep or simply relax surrounded by your flourishing garden. One can even dine alfresco in this shaded deck! Check out this stunning Homify ideabook for design tips on how to prep your patio to be your perfect weekend siesta space. Pick out your favorite ideas from the idyllic backyard escape below. The open space truly brings you much closer and more appreciative of nature. 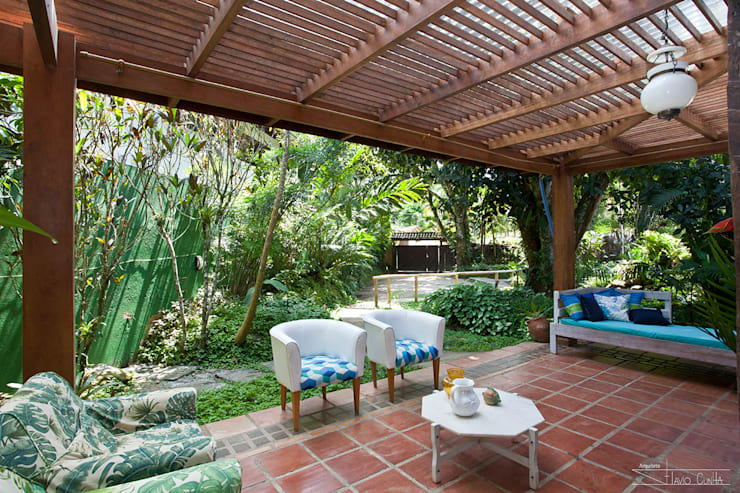 Sit under the shade, while the surrounding trees keep the patio cool and breezy. With wooden materials, residents can bask in an outdoor deck that’s a perfect fit with the environment. 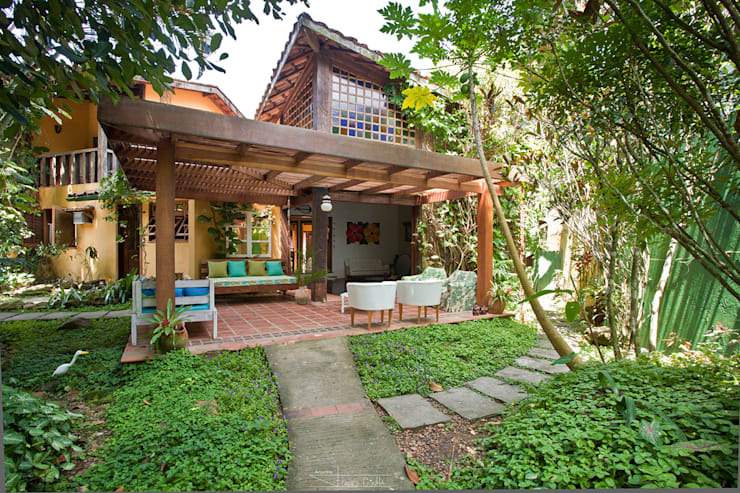 Tucking your patio in a quiet corner of the yard also allows you an peaceful escape just a few steps from the house. The key to a beautiful patio is the bright atmosphere it offers that you can't get indoors. Using a lattice ceiling in the backyard seating area lets you hide from the harsh rays of the afternoon sun, but still allows ample air and natural light to stream in freely. The crossed strips of wood overhead also makes for a pretty picture, creating a private yet open atmosphere in the veranda. You don’t need a sprawling estate to create the patio of your dreams. This comfy little space is tucked away in the back corner of the home, but relaxed seating and tall flourishing plants provide a cozy, intimate hideaway. Keep the outdoor furniture to a minimum to make the space seem bigger than it actually is. Smaller chairs and tables can also help avoid an overcrowded patio. 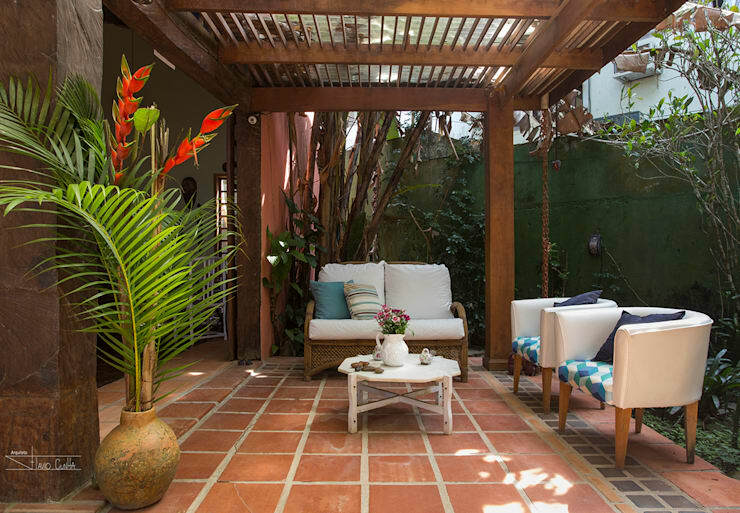 An outdoor sitting area is the perfect place to take a breather and settle down for siesta. This breezy open-air design creates a space wholly integrated with the surroundings, a true extension of the outdoors. The high wooden roof keeps it safe from rain showers and harsh elements. Wood and rock materials from top to bottom lend a polished yet nature-inspired vibe outside. Enjoying a swim on a sweltering day at home is one of life’s simple pleasures, and it elevates a low-key patio to a stunning backyard space. Even just a small pool or a hot tub can transform the deck into a more upscale area. Take a dip in the morning before enjoying lunch al fresco and lounging poolside for a nap. With a few chairs and tables nearby, this could also be a picture-perfect spot to host a weekend barbecue with friends and family. The covered deck is also equipped with an outdoor kitchen for such get-togethers. 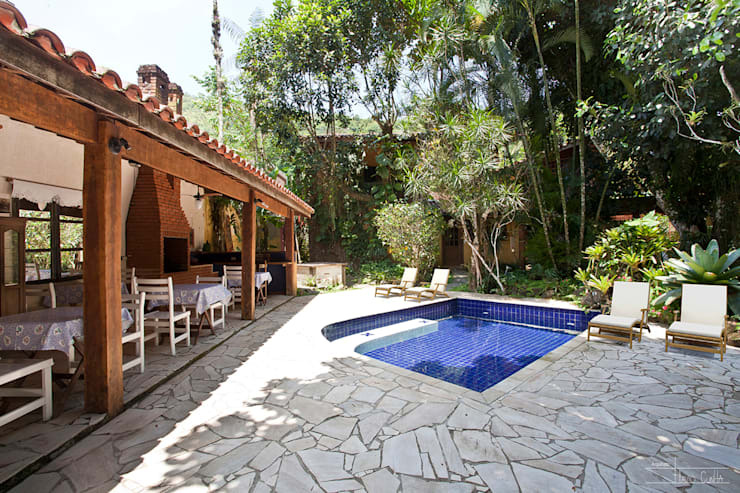 Discover 6 inspirations for your swimming pool project. To feel at home in your patio, design it like a part of your home. With a variety of relaxed seating and other furnishings to choose from, being outdoors could be just as comfortable as being inside. Don’t be afraid to fit the outdoor deck with cushioned chairs and delicate décor – there’s no need to be limited to traditional lawn furniture anymore. 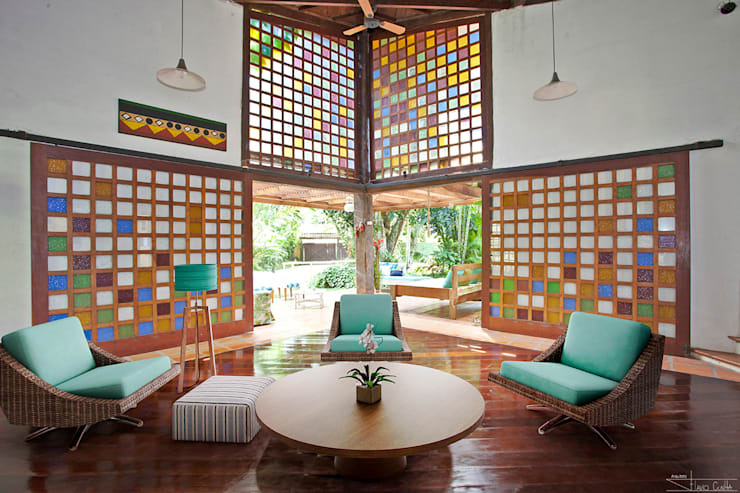 The featured patio flows smoothly into the living room, which is designed with the vibrant colors of stained glass against earthy wooden hues. Sliding doors expand the outdoors to the indoors, so designing both spaces in complementary décor is a smart idea. It’s truly a stylish place to catch some z’s.